Can I keep Exercising while fasting? Do you workout while fasting? I know many people will frown their faces and say HOW??? Lol! Well in my opinion, yes, you sure can. The human body is capable of doing so may super things, if you don't try, you will never know. Imagine being made in the image and likeness of God, there is nothing you cant do. I remember earlier on in the year, during Lent, when i posted some pics of me working out on bbm, a friend asked me if i was fasting? I said "Yes i am fasting o" And she asked, "And you still workout?" I said "yes". Although, for some reasons, I wasn't fasting daily. 6am to 12 noon fast: For those that are self employed and have the time, If you are fasting till 12 noon. 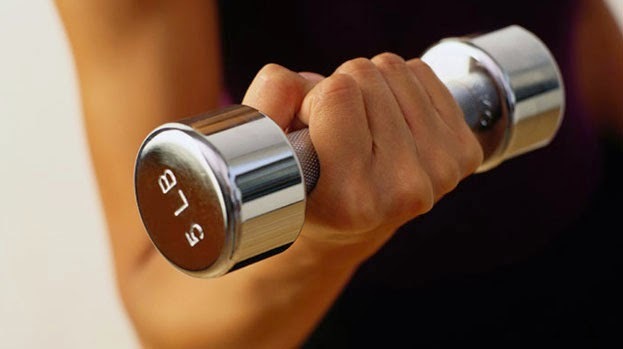 Start your workout or go to the gym between 11am and 11.30am, do some 15 to 30 mins workout. Get home, pray, then break your fast with a a glass of water, a piece of fruit and then have a light meal 10 mins later. 6am to 6pm fast: Break your fast with a piece of fruit and some water, eat and rest. You can, do your workout at about 8pm, later that night. Eat a bit more clean food then relax before going to bed by 10pm...or so. No, working out and fasting will not kill you, take it from me. Just do it the right way and you will be fine. It will even help you learn how to resist food temptations more. Go about your daily work normally. Be careful not to dive into the pot of food after your fast o, too much food at once could hurt you. Don't let your new life style affect your relationship with God. I think i have more energy to workout on days when i'm fasting, i really don't know why. The only thing i will say is that you should reduce your workout time and the intensity. Perfect timing. This post was for me. Thanks for the info. Pat, I'm glad it's of help. God bless. Awww, all Glory to God. I am humbled Aliana. Thank you. I pray you reach your weight loss goals soon and all your prayers answered in Jesus name. God bless you too darling. This came at the right time for me too, I take a thirty minute brisk walk during this period, the info on how to break the fast is really good I would just gobble a plate of food now I know better thanks. Hi Sharon, I'm glad it helped. Thanks for commenting.